Set off a quiet road and accessed by its own country lane, this house offers comfortable . . . This beautiful house is in a secluded location yet only a short distance from a village with . . . Situated in a small but lively town, this huge house has a great variety of uses for the keen . 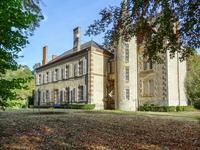 . .
Stone built bourgeois 4 bed manor house in 3 acres of private enclosed grounds , second house with gite potential. Outbuildings and garden. This magnificent 4 bedroom, 3 bathroom house was built in 1900 and retains many of it's . . .
Set between 2 villages offering bar/restaurants, school, post office and even a fishing lake . . . 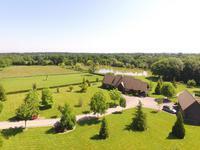 Stunning location for this large, renovated mill with water rights, 10 bedrooms, covered swimming pool, small carp lake. Sat along the turn of the river, this exceptionally beautiful property would make an ideal . . .
Ready to just move in this is an excellent farmhouse with three bedrooms and two bathrooms. . . . 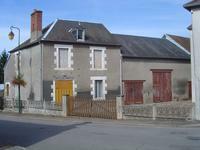 Pretty French Style Detached village property to renovate situated in the village of Préveranges. 60mins from nearest airport. This house has had some works done but is in need of completion. Situated in the village of . . .
2 bedroom house with salon open plan kitchen dining and lounge area featuring many unique . . .
Lovely quiet setting for this stone 2 bedroom longere for modernisation. Nearly 0.5acres of garden, large barn, hangar and various outbuildings.. 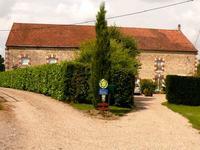 In a quiet hamlet, not far from the pretty village of Boussac, with shops, doctors, vets, . . .
5 Bedroom house on basement. On the edge of Argent-sur-Sauldre,dept 18 Cher, Centre Val-de-Loire. Ground floor tiled. 3 bedrooms all ensuite 14.5/15/19/16/15m2. Large salon 24m2. Large . . . Very interesting property offered, formerly a bar and living accommodation. Situated in a . . .
4 Bedroom. 3 bathrooms. 1 kitchen. 1 kitchenette. utility room. 2 salon living rooms . 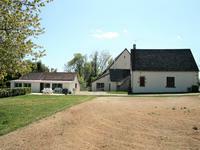 . .
Lovely, mostly renovated, French Farmhouse, with 2 1/2 acres of pastureland. 2 large bedrooms and spacious barns and workshops. 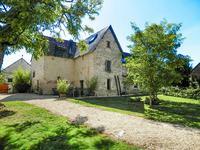 Situated in a very secluded spot, in the beautiful, rural heart of the French countryside, in . . .
A recent renovation of a high standard comprising. 1 house 2 bedrooms 70m2 shower, bread . . . This four bedroomed home is on the edge of a small town, with large rooms and beautiful . . .
A house full of potential having the living space on one level but with a large loft area . 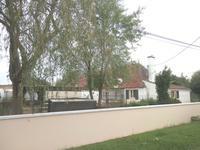 . .
House on the canal de la sauldre close to Argent sur Sauldre, 18 centre val de loire. 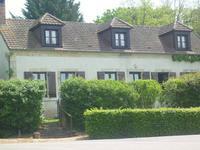 2 Bedroom house in a lively village with direct access to the ancien canal de la sauldre and . . . Traditional stone farmhouse with 2 bedrooms, large private garden of just under half an acre, quiet countryside location. 40mins from nearest airport. This pretty French cottage was built prior to the revolution . A little haven for Nature . . .
Berry, 2h40 from Paris, property set on 12ha with lake, Beautiful contemporary house on . 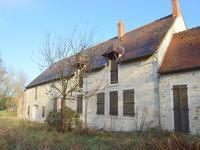 . .
A unique and rare opportunity to acquire a 2 bed house, a 1 bed gite and working artists . . .
6 Bedrooms 1 bedroom on ground floor with dressing 2 bathrooms 1 ground floor well . . . Pretty village house with 3 bedrooms, garden and garage, benefiting from mains drainage and village gas central heating. Although in need of some modernizing, this lovely house retaining it's original character is . . .
A fantastic family home, within its own private grounds with no near neighbours. Situated in . . .
4 bedroomed village house with garage, garden and small house to renovate. 60mins from nearest airport. 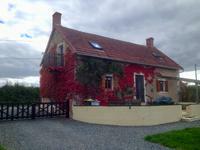 Located in the centre of this friendly village and just 23km from St Amand Montrond this . . .
Quiet village setting for this interesting two bedroom house in need of updating, but immediately habitable. If you are looking for an affordable taste of France, then this is your dream come true. . . .
enovated 4 bedroom farmhouse, attached barn & garden, ready to move into, quiet location near Lignieres with all amenities. Nearest airport 45mins. With no near neighbours, this is a lovely 4 bedroom family home or holiday house with a large . 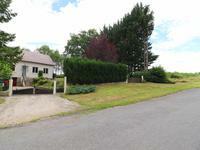 . .
Lovely 4 bedroom longere with over 2acres of land, situated in a quiet hamlet, 5mins from village with all amenities. 60mins from nearest airport. This superb 4 bedroom longere with beautiful gardens would make the perfect family home. Set . . .
Beautiful stone farmhouse with fabulous views, original features lovingly restored and . . .
Not overlooked,this beautiful longère of 200 m² of living space. Located on a small country . . . 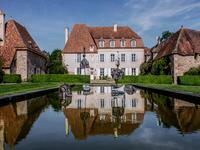 Magnificent renovated village manor house with 5 beds in stone and granite, with over an acre . . . In the beautiful unspoilt area around Sidialles you will find an outstanding property: - . . . Character country house. 2 bedrooms. Tranquil location. Business potential with 3 bed gite, and just under 0.5 acres of attractive gardens. This property is in a small hamlet of only a few houses and is very peaceful. This wonderful . 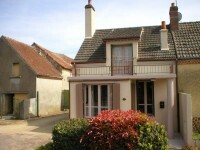 . .
Large 5/6 bedroom 2 bathroom village house in Achéres Centre, dept Cher. , Large garage space . . .
Renovated Farmhouse, 5 Bedrooms,2 bathrooms,Outbuildings,6.5 Acres of enclosed pastureland. 50 mins from nearest airport. Situated in a small hamlet,this property offers lots of potential. Totally renovated to a . . . If it's peace and tranquility that your looking for, this 3 bedroom renovated longere offers . 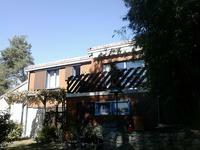 . .
3 Bedrooms 120 m2 but potential to expand in both the loft and basement. Gas central . . . This well maintained detached property sits on the edge of a small hamlet but is just 10mins . . . This delightful and tastefully decorated late 19th C farmhouse situated on the edge of a very . . .
5 Bedroom stone detached house with 2797m² garden, swimming pool, jacuzzi and garage. Lovely views of the countryside. 60mins from nearest airport. This lovely property boasts two separate living spaces or can be used as 1 large family . 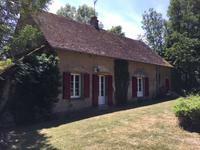 . .
4 bed House plus outbuildings close to Barlieu between Aubigny sur Nere and Gien In the Cher. 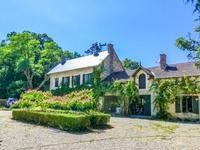 Large character Renovated house Approx 200m2 2.4 acres approx of parkland with mature trees . . . Pretty renovated 1 Bedroom Cottage, Excellent Lock up and go Holiday Home. Walking distance to Graçay with all amenities. 25mins from nearest airport. Massive reduction, priced to sell. Perfect little 1 bed cottage ideal for lock-up holiday . . .